A pair of broke men invent a scam to profit from the current obsession with 'selfies'. I have never heard of any other film based around selfies and so it (to me, anyway) is one of the first of its kind; unfortunately I was left extremely disappointed as the film didn’t live up to its crazy title. 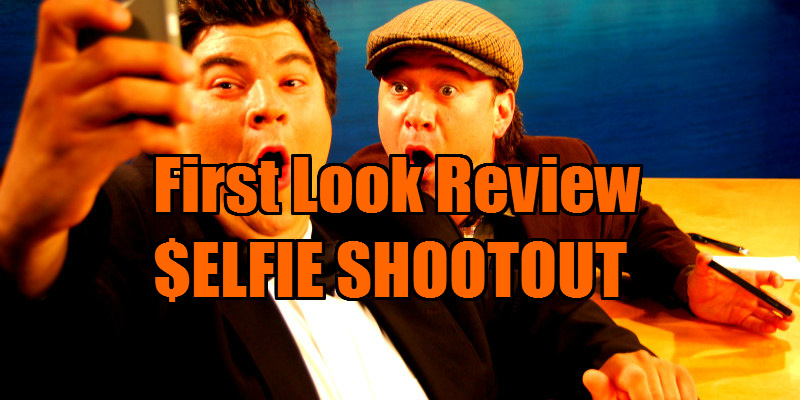 $elfie Shootout is about two juvenile grown men - Chub (Ryan Bollman) and Bone (Michael Barra) - who are sick of being broke and single, and so decide to create a website in which people upload their selfies online for $25 dollars a pop. Initially, the boys offer a cash prize of $1,000 but as things spiral out of control the price increases rapidly to gain more selfie customers. The selfie craze has also spiraled out of control and it seems so ridiculous to actually have a film plot based on it. Yes, it does seem abysmal, but I was hoping for some satire about today’s selfie society; instead, the jokes completely flat lined. The plot and characters are just too stupid to even take the film seriously. I feel as if the directors were going for a Dumb and Dumber vibe as the two main characters share some similarities with Jim Carrey’s Lloyd and Jeff Daniels’ Harry. 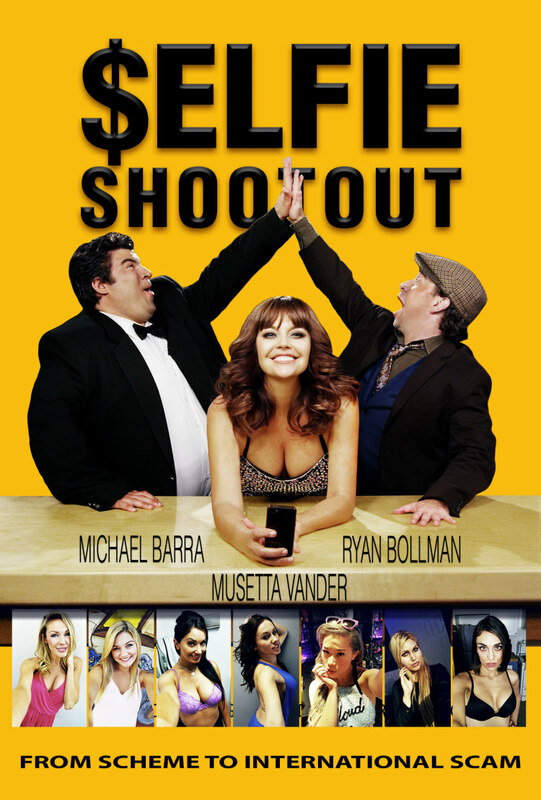 Dumber and Dumber still isn’t quite to my taste, but at least it has two strong actors who carry the film, which is what $elfie Shootout is lacking. Bollman and Barra’s characters have zero likeability and for the most part they looked as if they were having a competition on who could speak/act the stupidest. Aside from bad acting and characters, the plot is also awful. One of the main reasons why they set up the website in the first place was so they could stare at the photos of the women who post them, and when men start posting, they swiftly change it to “babes only”. All the female characters are there for the male gaze only which I find very demoralizing for this day and age in film. I tried and tried to find strengths with this film and the only thing I can say about it is that it's shot and edited well. One of the directors, Giorgio Daveed, has a passion for cinematography and fortunately for him it shows; unfortunately it doesn’t add anything to the film as a whole. I had been mildly excited to see how crazy and out there $elfie Shootout was going to be. I have never heard of any other film based around selfies and so it (to me, anyway) is one of the first of its kind; unfortunately I was left extremely disappointed as the film didn’t live up to its crazy title.